LONDON – 27 August 2009. Scientists led by a former co-chair of the Intergovernmental Panel on Climate Change will warn today that the UN negotiations aimed at tackling climate change are based on substantial underestimates of what it will cost to adapt to its impacts. The real costs of adaptation are likely to be 2-3 times greater than estimates made by the UN Framework Convention on Climate Change (UNFCCC), say Professor Martin Parry and colleagues in a new report published by the International Institute for Environment and Development and the Grantham Institute for Climate Change at Imperial College London. The report adds that costs will be even more when the full range of climate impacts on human activities is considered. Parry and colleagues warn that this underestimate of the cost of adaptation threatens to weaken the outcome of UNFCCC negotiations, which are due to culminate in Copenhagen in December with a global deal aimed at tackling climate change. The UNFCCC has estimated annual global costs of adapting to climate change to be US$40-170 billion, or the cost of about three Olympic Games per year. But the report’s authors warn that these estimates were produced too quickly and did not include key sectors such as energy, manufacturing, retailing, mining, tourism and ecosystems. 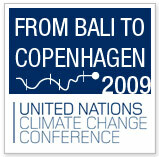 Other sectors that the UNFCCC did include were only partially covered. “Just looking in depth at the sectors the UNFCCC did study, we estimate adaptation costs to be 2-3 higher, and when you include the sectors the UNFCCC left out the true cost is probably much greater,” warns Parry, who co-chaired the IPCC working group on impacts, vulnerability and adaptation between 2002 and 2008. Water: The UNFCCC estimate of US$11 billion excluded costs of adapting to floods and assumes no costs for transferring water within nations from areas of surplus to areas of deficit. The underestimate could be substantial, according to the new report. Health: The UNFCCC estimate of US$5 billion excluded developed nations, and assessed only malaria, diarrhoea and malnutrition. This could cover only 30-50% of the global total disease burden, according to the new report. Infrastructure: The UNFCCC estimate of US$8-130 billion assumed that low levels of investment in infrastructure will continue to characterise development in Africa and other relatively poor parts of the world. But the new report points out that such investment must increase in order to reduce poverty and thus avoid continuing high levels of vulnerability to climate change. It says the costs of adapting this upgraded infrastructure to climate change could be eight times more costly than the higher estimates predicted by the UNFCCC. Coastal zones: The UNFCCC estimate of US$11 billion excluded increased storm intensity and used low IPCC predictions of sea level rise. Considering research on sea level rise published since the 2007 IPCC report, and including storms, the new report suggests costs could be about three times greater than predicted. Ecosystems: The UNFCCC excluded from its estimates the costs of protecting ecosystems and the services they can provide for human society. The new report concludes that that this is an important source of under-estimation, which could cost over US$350 billion, including both protected and non-protected areas. It adds that the UNFCCC estimates do not include the cost of bearing ‘residual damage’ that will arise from situations where adaptation is not technically feasible or simply too expensive. “Finance is the key that will unlock the negotiations in Copenhagen but if governments are working with the wrong numbers, we could end up with a false deal that fails to cover the costs of adaptation to climate change,“ says Camilla Toulmin, director of the International Institute for Environment and Development, which co-published the report. The new report was reviewed by seven of the world’s foremost adaptation scientists, including the lead authors of the original UNFCCC study. Following this, close to 100 adaptation policy and research experts were invited to comment on the pre-publication draft. The report’s authors are: Professor Martin Parry (Imperial College London), Professors Nigel Arnell (University of Reading), Richard Tiffin (University of Reading) and Tim Wheeler (University of Reading), Dr Pam Berry (University of Oxford), Drs David Dodman and David Satterthwaite (International Institute for Environment and Development), Dr Sam Fankhauser (London School of Economics), Dr Chris Hope (University of Cambridge), Dr Sari Kovats (London School of Hygiene and Tropical Medicine), Professor Robert Nicholls (University of Southampton). +44 (0)791 204 4017 or +44 (0)20 7106 1220. The Grantham Institute for Climate Change is committed to driving climate change related research and translating it into real world impact. Established in February 2007 with a £12.8 million donation over ten years from the Grantham Foundation for the Protection of the Environment, the Institute’s researchers are developing both the fundamental scientific understanding of climate change, and the mitigation and adaptation responses to it. The Institute intends that this work should be directly relevant to policy and decision makers. The Grantham Institute is unique among climate change research centres because it is situated at the heart of Imperial College London, one of the world’s leading science, technology and medicine universities. The policy and outreach work that the Institute carries out is based on, and backed up by, the leading edge research of the College’s academic staff. 10th April 2009 - Martin Parry, Imperial College London, talks to IIED about climate change, vulnerable countries, the most urgent issues and the vital next steps. Visit IIED's Climate Change pages, or search our publications database for more information on our work in this area.